“Very hard to judge when someone is playing and very hard to judge eras,” Warne said. Australian legend, Shane Warne has heaped praises on Virat Kohli but he has called the comparison between Virat and Sachin Tendulkar to be ‘unfair’. While Virat is closing in on the great Tendulkar’s record, the comparisons are on an all-time high. Kohli’s runs scoring, especially his century-scoring rate across Tests and ODIs has been soaring high. Tendulkar’s record of 49 ODI centuries may soon to be broken, by the unstoppable run machine Kohli. There’s very little doubt about that. He might even surpass his overall centuries record and more. But is it fair to judge eras without considering the difference in conditions across the two? Shane Warne, who played against Sachin Tendulkar all throughout his career, gave his perspective about the matter. He described how it is unfair to distinguish between two cricketers who have a huge gap of an era in between them. Tendulkar was at his prime during the 1990s and now Virat Kohli is the ambassador of Indian Cricket. He’s not only a successful captain but currently the best ODI batsman in the world. Warne, here, has acknowledged every bit of Kohli’s accomplishments and he also went on to praise Kohli’s character. “He’s fantastic. I love watching him bat and I love listening to him. I am a big fan. You know what he does? He stands up for what he believes in. He speaks how he feels and he’s real. He’s emotional, a bit too emotional sometimes on the field. 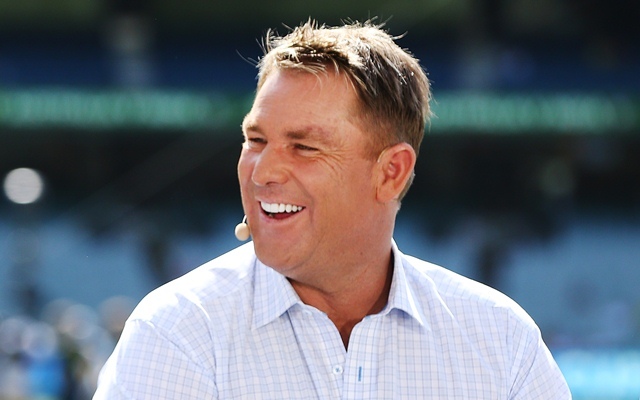 But that’s the part of the charm,” Warne told The Times of India (TOI). “I think world cricket loves him. Everyone loves Virat Kohli because it’s refreshing to hearing him talk so honestly and openly. He loves confrontation. That’s why he has those 100s in chases. How many, 23, 24? The next best is how much? I can’t remember who’s second. That’s something inbuilt into you. That’s not skill or talent. He’s got a lot of that. That is just pure competitiveness and pure desire – to get the job done,” he remarked. Shane Warne acknowledges all of it but he says that he’d like to wait a little longer to see how great a batsman Kohli turns out to be. Like Sachin maintained his greatness till the day he retired in 2013. “Very hard to judge when someone is playing and very hard to judge eras. Think about the bowlers in the ’90s. Different surfaces that seamed. Now they’re a lot flatter. The ball swung more. So many invariables. But to think that someone was better than Brian Lara and Sachin – in those mid-’90s – against Wasim, Waqar, Curtly, Courtney, McGrath, Donald, Saqlain, Mushy, Vettori, Murali, myself. You can go on. Virat is breaking all the records, which is great but I want to wait. See, what people miss is this: You can set benchmarks, score those many centuries, an average that high, score a lot many runs. But what people are going to remember you for is the way you played the game,” he added.